President-elect Donald Trump announced Tuesday that Reed Cordish will be assistant to the president for intergovernmental and technology initiatives. 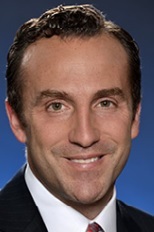 Cordish is a principal of the Cordish Companies, a Maryland-based real estate business, and the president of Entertainment Concepts Investors, a subsidiary that owns and manages casinos, hotels, and restaurants across the country. The transition said Cordish will be responsible for “presidential initiatives that require multi-agency collaboration,” and for technological innovation and modernization. The Cordish family helped to organize Trump’s visit to Maryland in 2015, when he spoke at the BWI Marriott. Reed Cordish contributed $250,000 to the Trump Victory committee on June 30.